Fall is the perfect time to get out and explore the city. What better way than being guided through some of the coolest parts of the city by someone who knows it best? 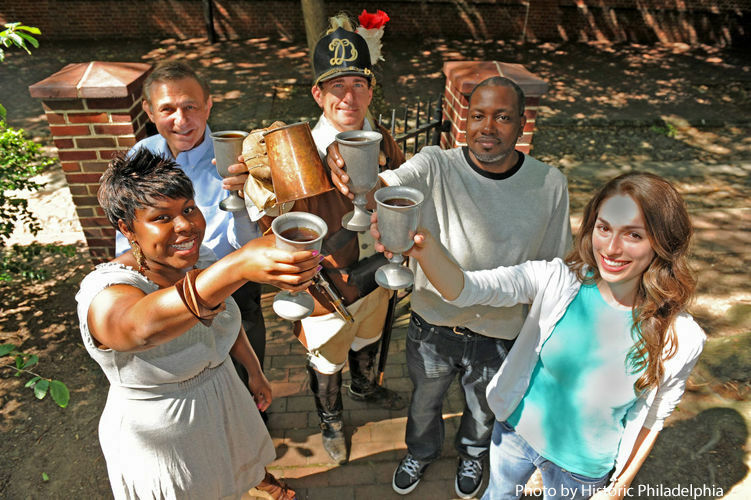 Whether you’re a long-time Philadelphian or just visiting, there are a lot of unique tour experiences in the city. Check out our top picks below, share your experiences with us on Twitter @phillyfunguide. Come for an in-depth look at the Kimmel Center's architecture. This walk along the Avenue of the Arts allows you to view the Center in the context of the cityscape. Tour artworks on display throughout the Kimmel Center, including the Moore Galleries and the recently installed Percent for Art collection. This tour is approximately 90 minutes in duration. Call ahead to schedule your tour. What better way to spend a beautiful afternoon than discovering authentic Philly street art? Philly Mural Arts have many guided and self-guided walking tours of their many murals across the city. It's a good way to learn the city, discover something new, get in touch with some fantastic art, and support a wonderful city staple program all at once! No doubt you've probably seen one of these double decker bad boys crusing across town at some point, why not get on one?! Philadelphia Trolley Works offers this fun, interactive bus tour seven days a week, all day long. Hop on at any of the 21 stops and see exciting Philly landmarks such as the Rocky statue at the Art Museum, the Philadelphia Zoo (America's first zoo! ), or Independence Hall. Learn about some of Philly's most historic delicacies, while getting to taste them - what could be better than that? Beloved landmark Reading Terminal Market hosts their Taste of Philly Food Tours every Wednesday and Saturday at 10am. Guests can also watch pretzels being made, learn the story behind the Breyers Ice Cream logo, and how Milton Hershey came up with the idea for Hershey's Kisses. Once the most famous prison in the country, Eastern State Penitentiary is now one of the most famous historical museums. Explore the cellblocks, Al Capone's famous cell, the solitary confinement cells and Death Row while learning the history of the prison and it's prior occupants. Want to know when your favorite events are 1/2-price? Then sign up for our weekly Funsavers email. Already a subscriber of Funsavers but want to be rewarded with points you can use toward perks like free tickets? Then learn how you can register for our new Funperks loyalty program. Check out some of the most popular attractions in the city of Philadelphia!